Simply styled, modern 4 claw princess cut diamond solitaire pendant with square setting which can be fully personalised. This simply styled compass set Diamond pendant is perfect for those with a modern taste for jewellery. The four claw setting has been designed with squared claws, to give the pendant a contemporary feel and to accentuate each corner of the Princess cut Diamond. The Diamond is also set in a compass setting, with the four corners of the Diamond arranged in a North-East-South-West direction. Choose from a wide range of Diamond specifications to suit your individual taste and budget. We can also create your pendant in a number of precious metal choices for you, including 18ct White Gold, 18ct Yellow Gold and 950 Platinum. Please allow us approximately 3-4 weeks to craft your pendant in your chosen precious metal choice. It will then be delivered straight to your door by a secure courier, presented in our luxurious Serendipity Diamonds packaging. All diamond pendant deliveries sent to Canada arrive by FEDEX. We ensure that all duty and tax are included, based upon your province. Deliveries to Canada typically take around 2-3 days, requiring a signature upon arrival. Your diamond pendant will be beautifully presented in its own luxurious wood presentation box as shown in our photograph below. More packaging information can be found on our designated website page. Each diamond pendant created at Serendipity Diamonds is crafted to exceptionally high standards. The same can be said about our diamonds. We use responsibly sourced, conflict-free diamonds that are 100% natural. Sourced from around the World, we work towards ethical sourcing. 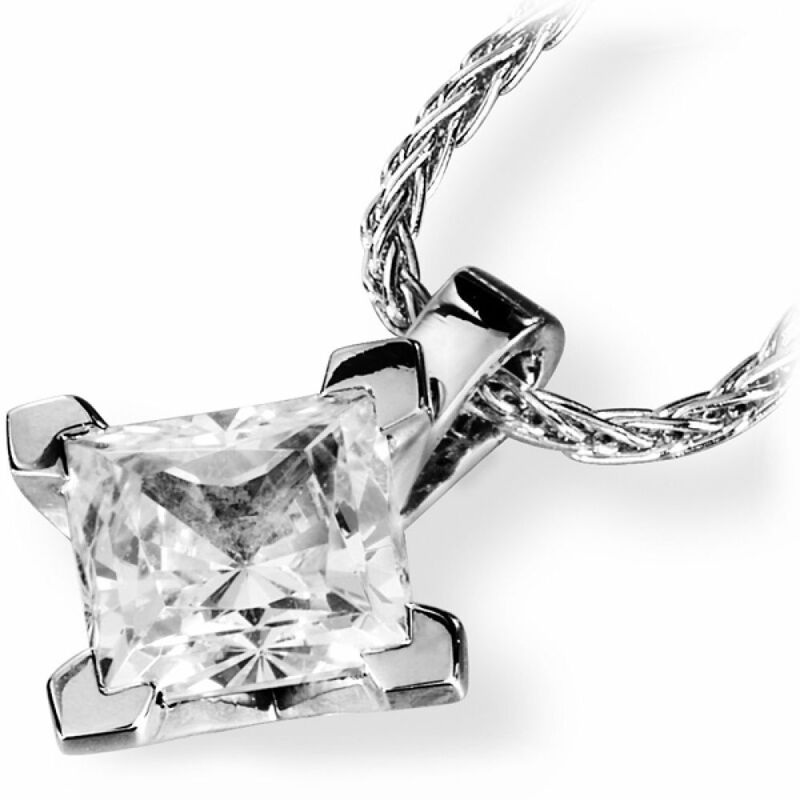 Available upon request, we can create diamond pendants working with certified CanadaMark diamonds and Fairtrade Gold. Canadian diamonds are sourced from the Ekati and Diavik mines and are traceable all of the way back to the mine. Although Canadian diamonds originate in Canada, most are cut and polished around the World, finding their way back to Canadian buyers through diamond specialists like ourselves. All of our CanadaMark diamonds include diamond grading certification from laboratories including GIA, with the assurance of a very good cut grade as standard. All diamond solitaire pendants weighing 0.30 carats and above, selected in grades above J colour and SI2 clarity will include full certification for your reassurance.